Bait Al KARAMA Women Centre intends to strengthen and improve the already existing activities of the Charity’s Women Committee by means of a space for social aggregation, education, income generation and culture. Moreover, Bait Al KARAMA intends to facilitate the international audience, in accessing the Palestinian and Nabulsi cultural richness. 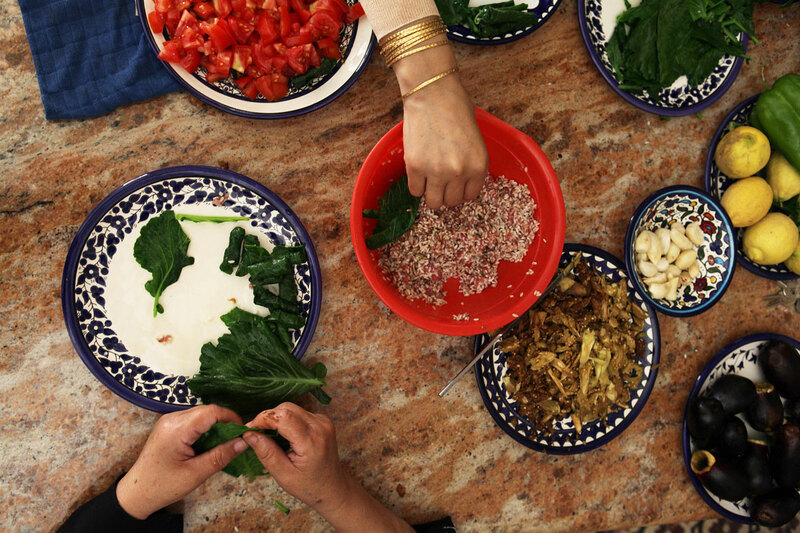 Bait Al KARAMA is featuring a Palestinian Cookery School for foreigners visiting Palestine. The school offers and coordinates courses and tailor-made programs, which run a minimum of one day, and are facilitated by the women chefs of the Centre.The courses focus on the preparation of traditional Palestinian and Nabulsi dishes and are suitable for everyone, professional chefs, food lovers and Middle East tourists. Each course is designed in collaboration with the participants to meet their interests and needs. Additionally, special programs can be arranged for researchers, artists and academics. The activities cater to small groups, providing cooking sessions, offering guided visits to the Souk, food shops and factories – knafeh producers, Tahina factory and such like – and tours to visit producers and farmers in the countryside around Nablus. The school is open from Saturday to Thursday; with courses commencing at 10:00AM and concluding at 5:00PM. 1. A Certificate of Attendance will be released at the end of each course. Please contact us for more information, prices and bookings. We welcome both individuals and groups and we can help you organizing your stay in Nablus.